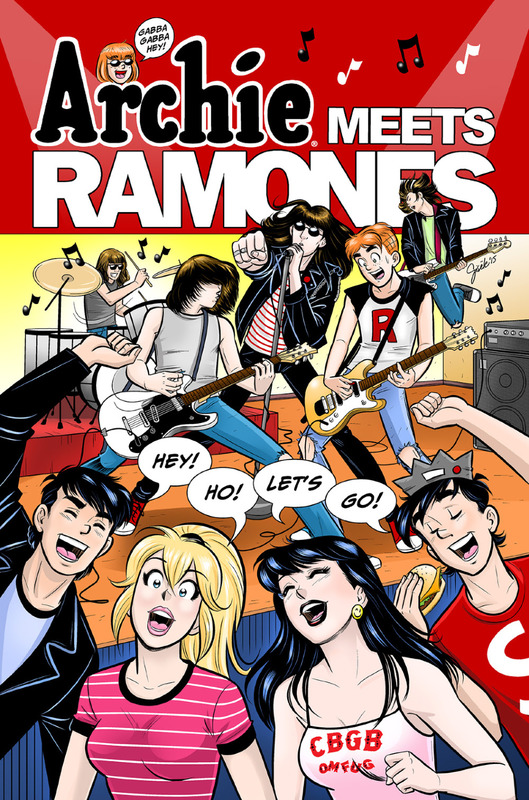 Legendary rock group RAMONES to meet the Riverdale gang in new crossover comic by Alex Segura, Matthew Rosenberg and Gisele. "Having the band crossover with Archie seems perfect and completely insane at the same time," said ARCHIE MEETS RAMONES co-writer Alex Segura. "Fans can expect a fun, rockin' and heartfelt extra-sized adventure that will stand up there with some of the best Archie crossovers ever. Which is saying a lot!" Together with co-writer Matthew Rosenberg and artist Gisele, the team plans to mix the colorful cast of Riverdale with the Ramones in fun and exciting ways.